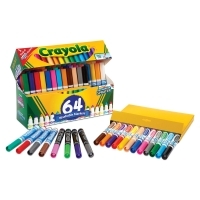 This set of 64 broadline Crayola Markers includes three popular types of Crayola Markers — Ultra-Clean Washable Markers, Washable Window Markers, and Washable Gel Markers — all in one big box. 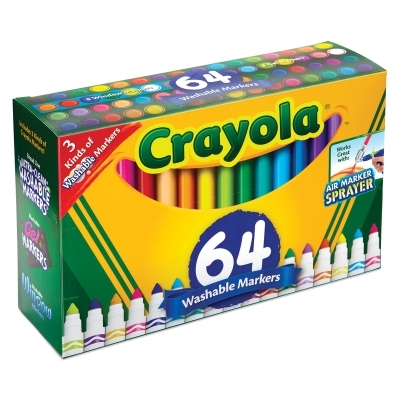 They all work well on a variety of surfaces, and with the Crayola Marker Airbrush. What's more, the marker ink washes both from skin and all children's clothing in one cold wash.